These birds are best suited to living in small spaces like apartments, condos, and dorms. Smaller doesn't mean less care. It is just smaller space. [post_ads]If there is one thing that birds are known for besides flight, it's the sounds of their calls and songs. 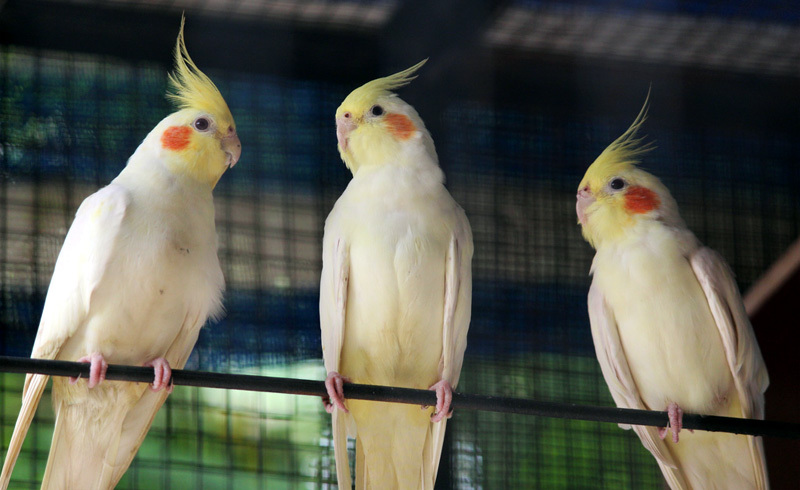 While a bird's call may be music to the ears of its owner, not everyone will find it to be so pleasant -- and this can mean trouble for bird owners that live in apartments or condominiums. If you live in close proximity to your neighbors, then check out this list of quieter bird species that do well in small spaces like apartments. You are sure to find a species that will complement your home and lifestyle. Bear in mind that just because the bird is smaller doesn't mean that the care can be diminished. These birds deserve the same respect, the same care outlines and the same regard as their larger cousins. These are wonderful birds that need your time, attention and housekeeping just like the big guys do. 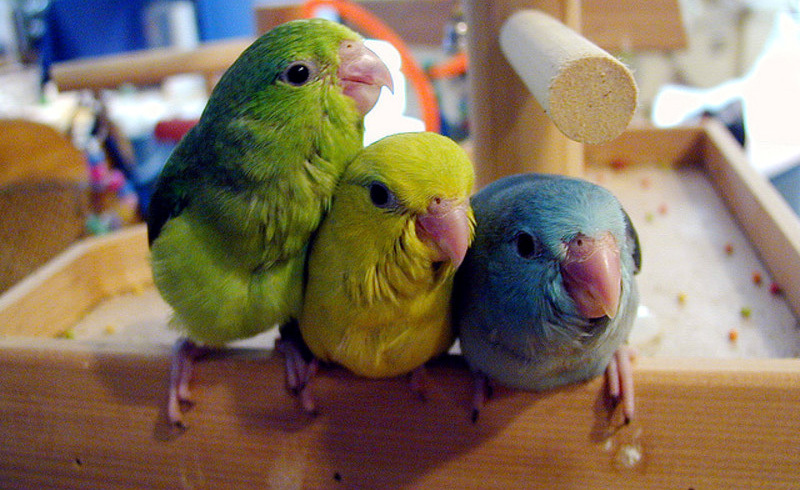 If you have your heart set on a hookbill, then a Parakeet or Budgie may be the way to go. Small and quiet, these little birds do well in cozier spaces and aren't loud enough to disturb most people. 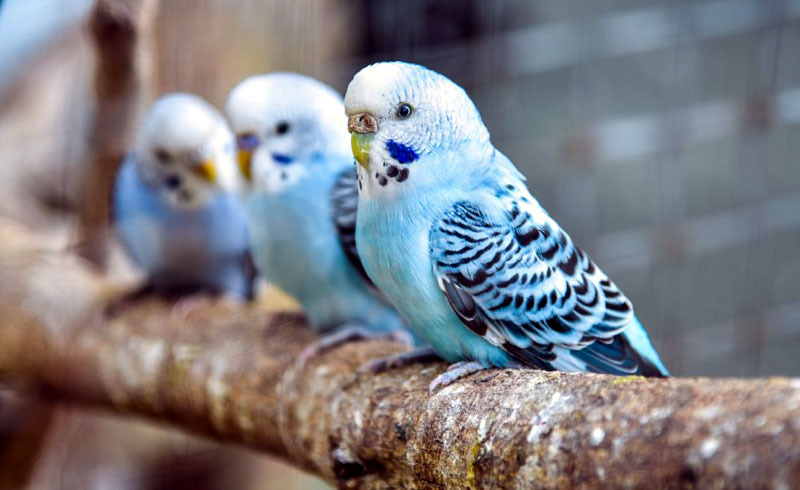 The trick to this is to find an enclosure or cage that is longer than it is high to give your budgie space to hop and fly. Round cages are out as well as cylindrical cages that are simply unsuitable. [post_ads]If you have room for a larger cage, a Cockatiel may be the bird for you. While they may take up a little more room than some smaller species, their calls and chirps rarely reach levels that may be deemed bothersome by neighbors. Cockatiels are wonderful little birds with quieter voices than many of the larger hookbills. They have a lot of personality and their ability to whistle and actually learn to whistle along with music is amazing. This is one of the most popular birds available as they easily adapt to most situations as far as living accommodations are concerned and they do well with other birds. 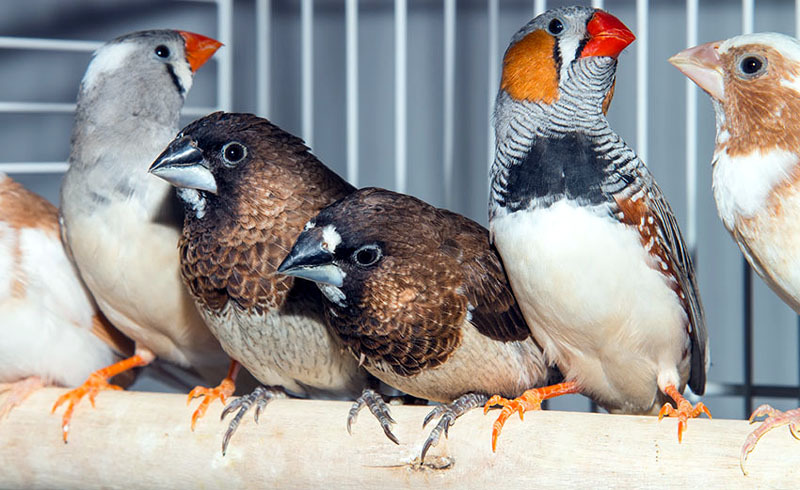 The small size of these birds makes them ideal companions for apartment dwellers. While they are actually more vocal than many species, their tiny voices go virtually unnoticed by those who aren't trying to hear them. Ensure you invest in a good vacuum cleaner as well as a handheld vacuum. They may be small, but they can make a mighty mess. Seed, vegetable bits and pellets tend to scatter when these birds are in residence in your home. They are a charming choice as long as you know that these are generally a hands-off off species that don't really appreciate being handled. [post_ads]Though they are parrots in every sense of the word, tiny Parrotlets lack the ability to scream and screech like most other hookbills. Their soft chatter and chirps are hardly enough to disturb even the pickiest neighbors. They are a lively and acrobatic species that can indeed learn to talk. Active and playful, their size betrays them as they have a huge heart and a ton of personality. They can play, swing, hop and move about all day long with the energy of a toddler. But again, do not let their small size fool you. This is a big bird in a small package as they can get aggressive when pushed. Believe it or not, these birds make the best companion bird if they are single. This makes them ideal for apartment or condominium living. Although fairly new onto the list of common birds available, they have made headway in becoming a cherished pet. If you really want a larger bird, members of the Pionus family are known for their quiet natures. 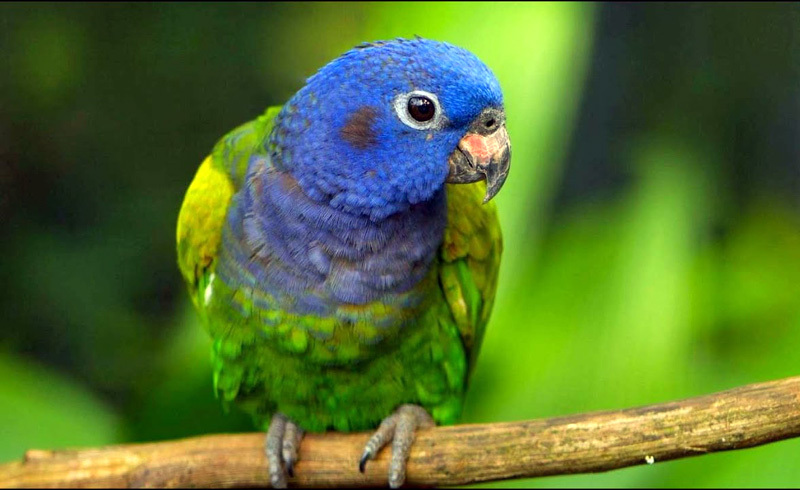 Research several different Pionus Species to determine which would best fit with your lifestyle and living situation. They are considered to be a quieter species. Apparently they are a confident little bird that simply doesn't feel the need to vocalize constantly. One of the most striking of the pionous species is the bronze winged Pionous. They are simply gorgeous and their color will simply amaze you. 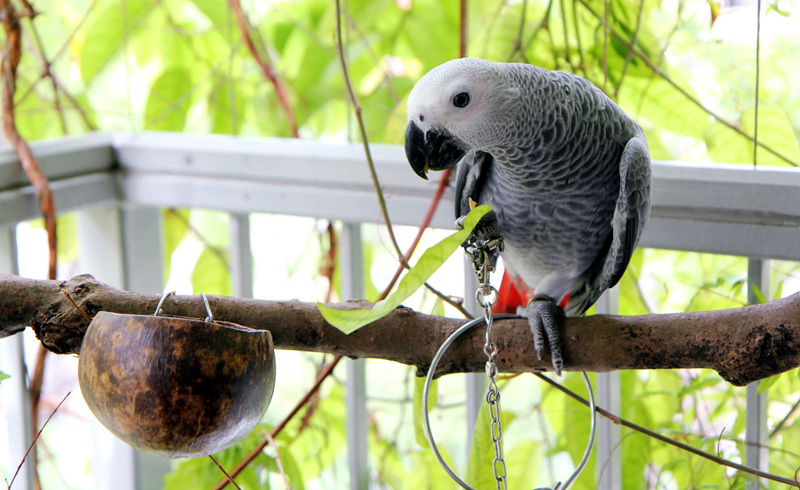 Pets Magazine: What Are The Best Birds For Apartment Living?